Regeneración: Three Generations of Revolutionary Ideology examines the transnational exchange and circulation of revolutionary and activist ideas through which political protest intersected with experimental artistic practices across generations, and between the U.S. and Mexico. The exhibition centers on three instances of political and cultural production, each called Regeneración, and the interconnected ideas and relationships between them. 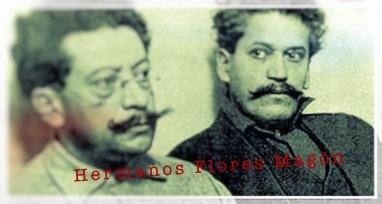 The term regeneración was first used by the Los Angeles-based, Mexican anarchist Flores Magón brothers in their revolutionary-era political newspaper Regeneración (1900–1918); subsequently adopted in the cultural and political journal Regeneración (1970–1975), which was an important collaborative site for the Chicano avant-garde group Asco; and later evoked in the experimental space Regeneración/Popular Resource Center of Highland Park (1993–1999). These groups and sites of production were incubators for transnational political thought and forms of resistance that linked Mexico and the United States from the site of Los Angeles, stimulating the creation of journals, print media, plays, music, film, satirical cartoons, drawings, performances, and poetry, and contributing to the convergence of art, community, and politics across the span of one hundred years. Tracing political and artistic modes of cultural production rooted in counter-hegemonic practices within Latino communities in Los Angeles in the twentieth century, Regeneración: Three Generations of Revolutionary Ideology aims to shed light on nuanced aspects of Southern California’s regional history. This exhibition was organized with extensive collaboration from advisors, artists and historians. It reflects collaboration with, contributions from, and works by Lalo Alcaraz, ASCO, Raul Baltazar, Barnet, Jacinto Barrera Bassols, Alberto Beltran, Akira Boch, Ludovico Caminita, Oscar Castillo, Amicc de la Fée, Zack de la Rocha, Elizabeth Delgadillo-Merfeld, Victoria Delgadillo, Richard Estrada, Lysa Flores, William Flores, Diego Flores Magón Bustamante, Roman Gabriel, Joseph Galarza, Diane Gamboa, Harry Gamboa Jr., Antonio (Willie) Garcia, Javier Gonzalez, Gronk, Colin Gunckel, Romeo Guzmán, Sara Harris, Sergio Hernandez, Willie F. Herrón III, Marissa Hicks-Alcaraz, Blas Lara Cázares, Jesse Lerner, Manuel Lopez, Rubén Martínez, Lara Medina, Marisol Medina Cadena, Menoman Martinez, Claudia Mercado, Joseph (Nuke) Montalvo, Shawn Mortensen, Mujeres de Maíz, Leo Ortiz, Ruben Ortiz-Torres, Raul Pacheco, Martin Quiroz, Omar Ramirez, Rudy Ramirez, Nicolás Reveles, Gregory Rodriguez, Seymour Rosen, Fermín Sagrista, Aida Salazar, Jeniffer Sanchez, Elias Serna, Humberto Terrones, The Mexican Spitfires, Edgar Toledo, Mark Torres, Adriana Trujillo, Patssi Valdez, Patricia Valencia, Arnoldo Vargas, L. Villegas Jr., Marius de Zayas, Sergio Zenteno and others. The exhibition will be accompanied by a robust public program series, including art and music performances, film screenings, a symposium, and art workshops for families, in addition to a gallery sound booth for online radio station programming and conducting oral histories. In an effort to continue to gather materials related to this history, the Vincent Price Art Museum welcomes communication from those invested and engaged with these iterations of Regeneración to deepen the research of these important periods. The programming for Regeneración: Three Generations of Revolutionary Ideology takes place at the Vincent Price Art Museum, East Los Angeles College, 1301 Avenida Cesar E. Chavez, Monterey Park, CA 91754.